We have expressed the values we hold dear, that drive and/or direct our lifestyle, in many ways across 6 years and nearly 1500 posts (so far) on this blog. However, since these are core values, it behooves us to encapsulate and reiterate somewhat. These values include but are not limited to Family, Frugality, Self Reliance, and Hard Work. These are the most obvious at the moment; no doubt there are others that will come to me in the weeks and months ahead. I’m thinking about our values right now because a reader recently asked some key questions about our frugality. I realize that frugality and our other values are so deeply ingrained in us that we aren’t always explicit about them. In fact, I soon found how difficult it is to clearly, concisely describe these values, as we don’t really think about them. They are, in many ways, who we are. 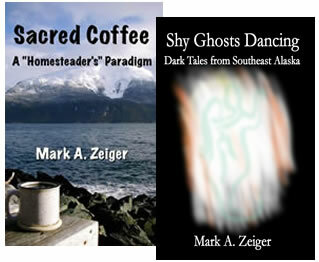 I have already described our core values in detail in my book, Sacred Coffee: A “Homesteader’s” Paradigm. If you would know how and why we live like we do, please read it! As I begin to address these core values, starting with frugality in the coming days, I’ll link to many posts that formed some of the essays in this book. But the best, most carefully crafted and edited versions of those essays appear in the book, not the blog. Some of the book’s essays never appeared at all on the blog. Still, it won’t hurt to reinforce these themes by taking yet another crack at summarizing them, as I’ll begin to do in the coming days. Trying to express any one of these core values in a short, pithy essay has proved extremely difficult. We can’t distill this information. We live it, and teach it by example, best with those who live with us—Aly, in our case. It can take a lifetime to instill a paradigm. And it is a paradigm rather than merely a skill set. The skill set may not be enough without the paradigm, which colors one’s world view; one uses it to inform one when and how to use the skill set. This is why diets universally fail. Adopting someone else’s skill set sometimes works, but requires the paradigm to really succeed. Again, this is not to say it can’t be done. We personally know people who came late to some of these values, yet embody them today. As ever, all we can do is offer our own experience, and hope others find it valuable. For a collection of our frugal thoughts and practices, check out More Calories Than Cash: Frugality the Zeiger Family Homestead Way, our new eBook—exclusively (and inexpensively priced!) from our website!